Independent publishers are extremely diverse, in both style and geography. 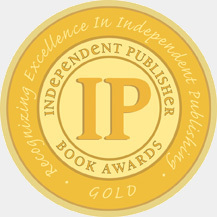 This year’s IPPY competition attracted 3,700 entries in the national categories, 1,300 regional entries and 600 e-book entries. So, 5,600 total entries and 400 total medals to be presented. The medalists represented 45 U.S. states plus the District of Columbia, five Canadian provinces, and ten countries overseas.Where do the most IPPY winners live? For 2013, the most medal-winning books came from California, with a whopping 49 winners! New York is next with 27 winners, and then a very even distribution between Texas, Massachusetts and Colorado with 12 each; Michigan has 11 winners; Minnesota, North Carolina and Washington have 10 each; Illinois, Arizona, and Ontario each garnered 9 winners.